Fore Golf was formed in 1978 by Charles K. Staples and is the third longest running ownership and management company in the golf and club industry. 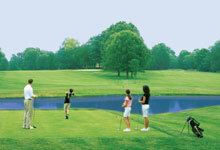 Since 1978 Fore Golf has acquired and managed over 80 community golf courses, country clubs and resorts. In March 1990 Fore Golf, Inc. merged with other entities to form U.S. Golf Properties and in 1992 the company was renamed The Fairways Group. In July 1993, The Fairways Group was acquired by KSL Recreation forming the vital nucleus for KSL Recreation to enter the resort golf market by acquiring numerous high profile assets including Doral, PGA West, and La Quinta. In 1995 The Fairways Group became KSL Fairways. Mr. Staples resigned his position as Chairman/CEO of KSL Fairways in July 1996 to once again develop and build a new start-up golf course acquisition and management company. 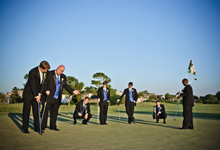 Fore Golf has acquired 21 golf properties since 1997.